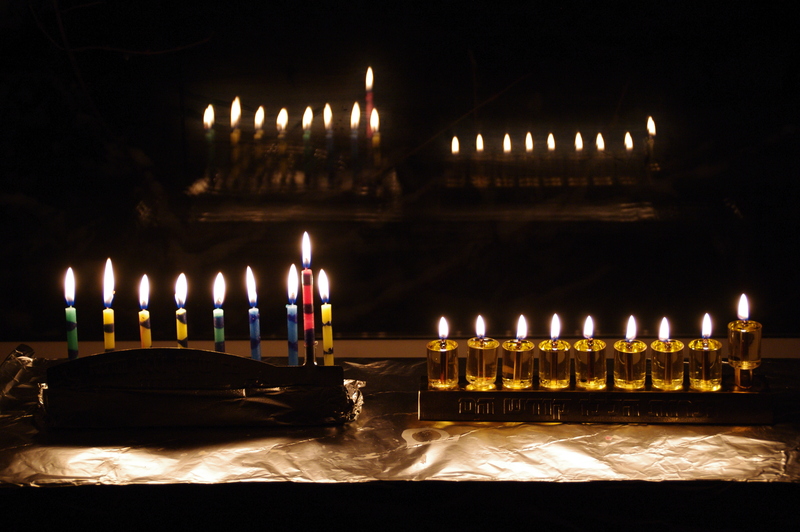 Previous We Kindle the Seventh Light of Chanukah! thank you cecilia for the whole journey, a welcome education about chanukah, told in your inspiring and enlightening way! Thank you, dadirr17. I’m glad you came along with me. May the new year be filled with light. Gosh, you’re right. It just takes one tiny light to overcome a huge amount of darkness. I hadn’t actually thought of that before. Another great post, Cecelia. Happy Chanukah, my friend. Thanks Kathy. Happy holidays~ALL of them! and may you have a wonderful 2012. …and a beautiful journey it was! Thank you Cecelia! Thank you, Rebekah. I’m glad you came along for the ride! Have a wonderful new year. Beautiful thoughts and post, Cecelia. Thanks Nancy. Glad you came along for each day’s post. It was good for me to review and share the different aspects of Chanukah. Thanks, too, for the quote? 🙂 It is a good reminder that light is indeed stronger than the dark! Have a wonderful 2012! Cecelia, thank you so much for taking the time to post your beautiful and meaningful essays during the eight nights of Chanukah. You have helped me learn much about your celebration of light that I did not know. Barbara, I am so glad you liked learning about Chanukah. I enjoyed writing about our holiday and sharing it with so many people. I find that it is too easy to get caught up in the activity of the holiday (and all holidays) to the point of overlooking the meaning of what we celebrate. This was good for me. And I truly appreciate the fact that you came along with us. May 2012 be all good. Very well written and meaningful post! Thanks for the reference too! Thank you, Baal Teshuva! May you be blessed with simchas, brachos, nachos and prosperity throughout 2012 and beyond! Thank you for teaching us about the miracle of Chanukah. I’ve so enjoyed watching and learning about this festival of light. Shalom! Thanks, Theresa. It has been fun for me, too. I’m glad you enjoyed the learning. Here’s hoping 2012 is a good one for you. Thank you for the journey! I especially love the lines, “After a while, one begins to realize that life itself is a miracle of magnificent proportion.” I completely agree with you. Thanks Louise. I’m glad you enjoyed this eight-day journey. You, too, have a wonderful day and a truly meaningful, blessed 2012! You are inspiring me to light a candle tonight when I go downstairs to meditate. To remember what this means…to honor that this sacred celebration can settle into our heart and mind and continue to flame during the upcoming year. Thank you! Yes! Wouldn’t it be great if we could remember the Chanukah lights, the miracles that we carry in our hearts throughout the year? I will try. Thank you for your comment, and for stopping by this evening. Have a wonderful 2012. Cecilia, I haven’t been able to keep up with your posts over the last few days, but I intend to go back and read them in sequence later. Thanks for sharing them. Thanks nuvofelt. I tried to do something different each day of Chanukah to familiarize folks with different aspects of the holiday. Hope you enjoy them. Thanks for stopping by. Cecilia, thank you so much for sharing these posts on the meaning of Chanukah. My husband and I lit the candles each night, contemplating the beauty of each intention. What an amazing experience! Your posts helped us to understand a little more of what it is all about. Thanks Amy. I am touched that the Chanukah posts meant something to you. May you carry the light with you into the new year. Just a special thank you to you for all of your Chanukah posts. They have increased my understanding enriched my life. Thank you! That is so sweet. I posted each day of Chanukah because I know that most of the people who read this blog know very little about the reason for the holiday, or the reasons for some of our customs. I did it as a way of increasing understanding, and your words attesting to that fact, humbles me and brings joy. All of you who have responded so positively have touched my soul. Thank you for stopping by, and for leaving a comment. Thanks Elizabeth. It was a special season for us, too.